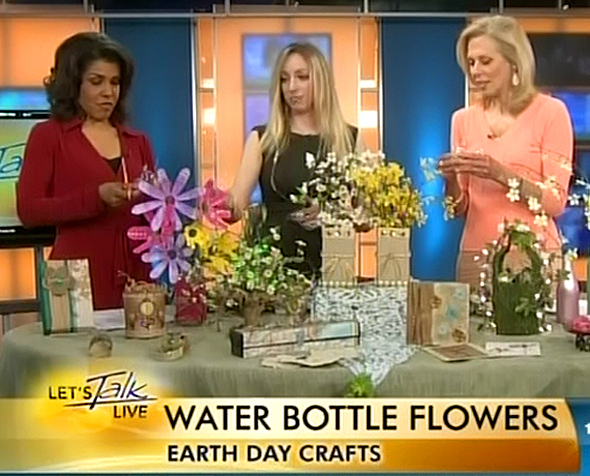 Learn how to made beautiful Earth Day crafts and decorations by reusing household and recycled items. Learn how to make paper, cards, vases, bracelets, flowers and more all from reused and normally discarded items. 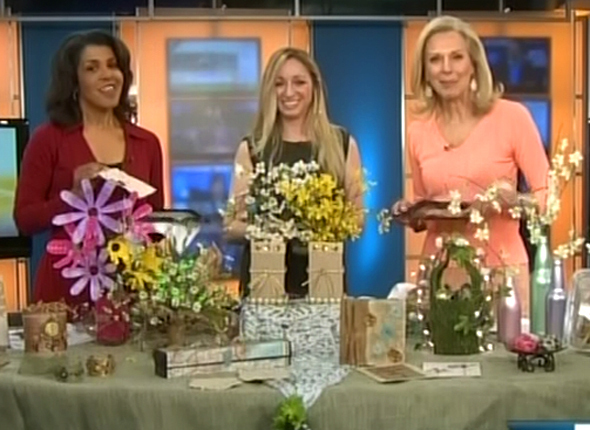 I showed the ladies at Let’s Talk Live some of my designs. This entry was posted in Earth Day and tagged earth day, earth day crafts, repurpose, repurpose crafts, reused, reused crafts, water bottle flowers. Bookmark the permalink. Here are some great ideas to celebrate Earth Day.